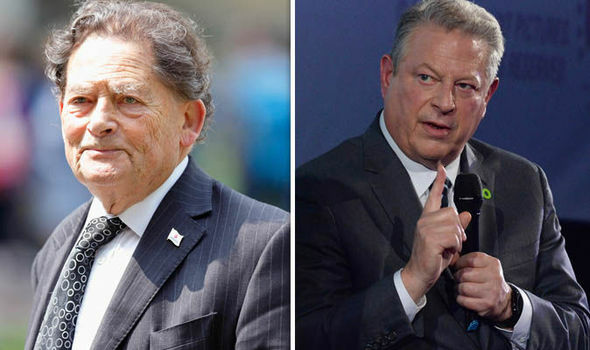 Lord Lawson has been strongly criticised for his attack on An Inconvenient Sequel, the latest scaremongering climate change film by Al Gore, but he is right to say our energy bills could be reduced if we cut out bogus green fuel taxes. No debate at all? That sounds a very extreme response to Lawson’s reasonable comments. There should always be debate about policies that are costing every one of us hundreds of pounds every year in extra taxes on our fuel bills to subsidise a renewable energy industry that may well have no effect on climate change over the next century. That is a fact. Even David Cameron, as environmentally friendly a Conservative leader as you could ever get, reportedly told his government ministers in 2013 to cut the “green c***” that was driving up energy bills for households and businesses.It has been estimated that 13 per cent of our electricity and gas bills go towards environmental and social costs.Said one energy supplier recently: “We’ve been trying to explain to our customers for years that most of the extra costs on their bills is from levies we have to pay the government but we still get blamed for price hikes.” That’s bad enough for hard-pressed families but the extra energy costs plus carbon taxes are making our industries uncompetitive in the world market, which means fewer jobs for our workers. Lord Lawson blames this all on “our absurd, climate-driven energy policy”. Across the Atlantic the USA is enjoying a boom in fossil fuel driven by its embrace of shale gas, forcing down consumer prices and giving a boost to manufacturers. Having brought her party great electoral success she then explained that the movement took a downward turn to “ideological daftness” and was indulging in “collective madness”. Many of those people who subverted the Green Party then are still members today and that same party was quick to condemn Lord Lawson’s comments on the Today programme. Critics of Lord Lawson love to brand his supporters “climate change deniers” but that is not really the point. Our climate has always changed, that is indisputable. 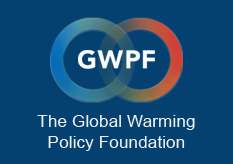 In the Middle Ages Britain enjoyed a period of warming followed by a Little Ice Age in the 17th century and since then temperatures have slowly risen.The point is: can we do anything about it anyway and are we just wasting billions of pounds of our hard-earned money on a great delusion? Environmentalists seem to think that subsidising wind turbines can somehow turn back a tide of climate change that occurs over thousands of years. One volcano throws more pollution into the air than any human activity.Expert Bjorn Lomborg has long made the case for spending our money more wisely on mitigating the direct effects of climate change rather than blowing billions on trying to stop something than cannot be halted. A study by York University ecologist Chris D Thomas argues that the impact of man has seen plant and animal species thrive as never before. The warmer, wetter and more carbon-rich our world is becoming the more vegetation grows. Maybe we should be embracing the positive sides of global warming rather than always claiming doom awaits.After all, it was that 12th century spike in temperature that saw grape vines widely grown in the UK and a boom in farming that led to the glorious age of great cathedral building. If the BBC wants balance it should cover more of these alternative views. In the meantime I’ll raise a glass of English wine to Lord Lawson for having the courage to speak out against attitudes that are costing us all too much money.